English Description : Virtual Serial Port is a powerful advanced ActiveX Control that allows your application to create custom additional virtual serial port in system and fully control it. 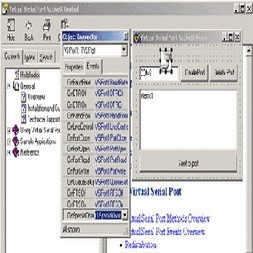 Created virtual serial port looks absolutely like a real serial port for other Windows applications. 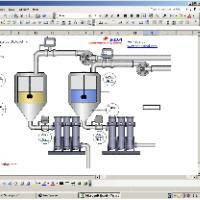 You can view parameters information of a virtual serial port, set by other application. From your application you can view and control data sent to virtual serial port by other applications and respond to them by sending your own serial data to virtual COM port, which will be received by all Windows applications like from real port.